Alluna Optics develops and manufactures high-precision optics and opto-mechanical assemblies and systems and integrated systems, at the customer's request. Our capabilities include, for example, the production of single mirrors or small series through to the construction of complete telescopes based on our RC or Newton astrographs. For the construction and design of mechanical components, we use the most advanced 3D MCAD. Complex parts and assemblies can thus be virtually assembled in advance and verified by simulation of various stress tests for safe operation. 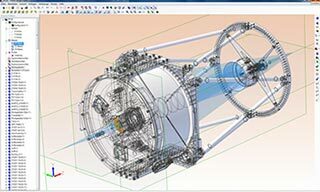 The derived 3D data are then used for CNC manufacturing of the desired precision components. They are manufactured using state-of-the-art CNC machines. The smooth functioning and quality of all optical and mechanical components is our absolute priority. 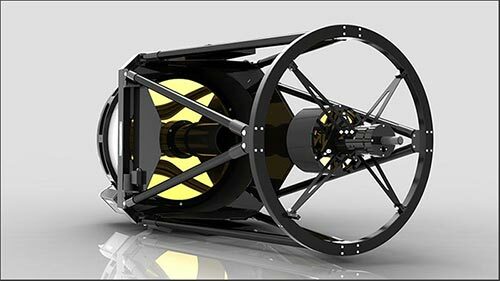 Examples of special projects custom telescope systems such as wide field telescopes, telescopes for atmospheric research, Lidar optics, infra-red telescopes, ruggedised systems, SLODAR telescopes, laser-assisted remote detection, streak optics or other scientific applications. 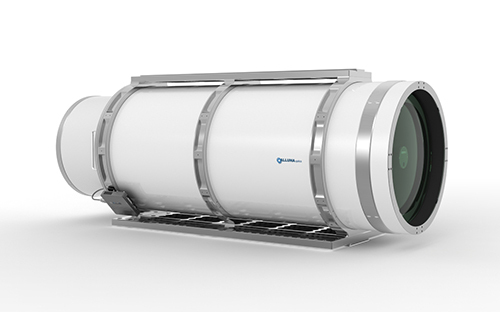 Closed carbon tube RC system for use in dusty and humid environments in the tropics, the desert or by the sea. Optimized for observations during the day terrestrial. The development of optical systems and correctors using ZEMAX®. 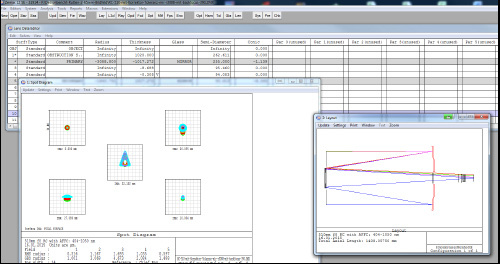 Properties of different optical systems are calculated and optimized. Parabolic mirrors made for a University in the usa. The mirrors are coated with gold and find their use in a LIDAR project for remote measurement of atmospheric parameters. 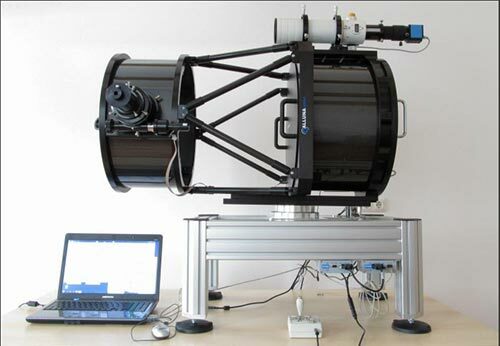 F 3.0 telescope with optical monitoring for remote detection method. Made for Deutsches Zentrum für Luft- und Raumfahrt DLR. 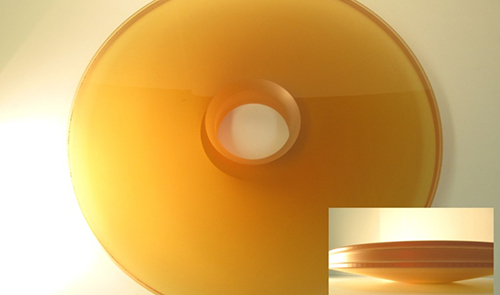 Optical components were optimized with Zemax over a measured distance of 100 meters. Manufacture took place in our own mirror manufacturing facilities. The positioning via direct-drive linear actuator with 5 degrees of movement in 2 axes was also constructed by us. The software control via PC and joystick relied on P1, a product found on the market. 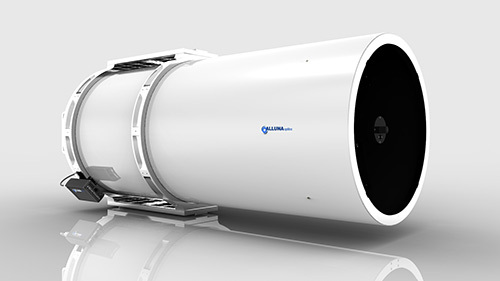 Robust and reliable observatory telescopes with fast apertures of f 3.0 to f 3,8. Designed for astrophotography and technical applications. Available as 16 and 18 inches. Certain applications require special telescopes. 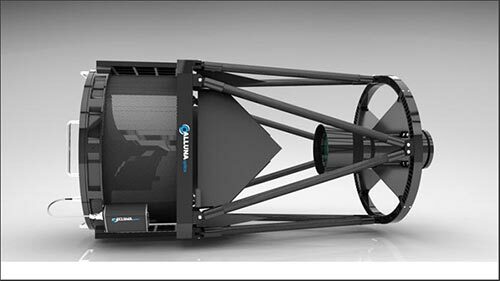 Our Carbon Tube Ritchey-Chrétien telescopes are suitable for use in extreme conditions when an open truss system can not be used. IR telescopes from 16 to 24 inches, based on our tried and tested RC telescopes. In the figure a 24-inch main mirror with f 2.9 primary mirror. Primary corrector with vignetting-free figure of over 2.2° in diameter. Optic for a Mersenne telescope consisting of rear conical Zerodur main mirror. Diameter 620 mm f 3.0 and parabolic Zerodur convex secondary mirror.